Songs to listen to and sing so that our reality is defined by our relationship with God! God gives us an incredible gift in the prophetic books in the Old Testament. The prophets show us who God is in all of his grandeur, majesty, and infinite love. And they show us what life looks like for humanity without God. We have many competing voices in our lives and culture that want to govern how we see reality. Above all else, what we learn in the prophets is that God needs to be our governing reality. God wants to shape our reality through relationship with Him and relationship with others. Question #29: How can we be saved? Answer: Only by faith in Jesus Christ and in his substitutionary atoning death on the cross; so even though we are guilty of having disobeyed God and are still inclined to all evil, nevertheless, God, without any merit of our own but only by pure grace, imputes to us the perfect righteousness of Christ when we repent and believe in him. Church Family Picnic after service today! Off the Grid at Park Presidio at Ricks Tree! Welcome Lunch on Sunday, August 21. New to Christ Church? Please join us for lunch! We'd love to get to know you and answer any questions you might have. Email Michelle if you're interested! 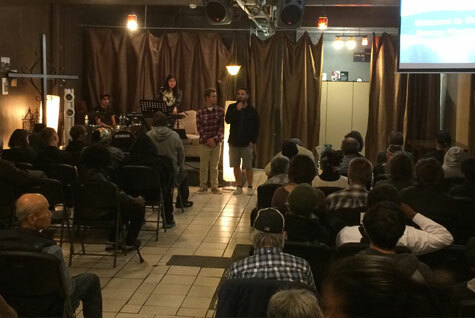 Mission Highlight: Thank you Janice for sharing about the Rescue Mission at City Impact! 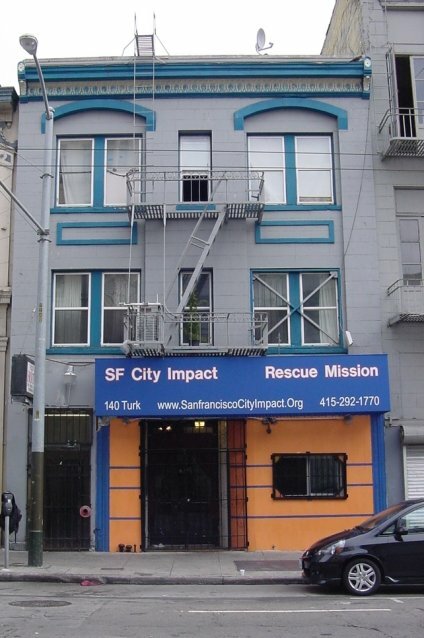 The Rescue Mission is one of many ministries at City Impact, a church and non-profit in the Tenderloin, an under-resourced neighborhood of San Francisco. Monday-Friday, there is a worship service before each free brunch and dinner, as well as access to a free health clinic and social services. In between brunch and dinner, there is a Bible study as well. Many of the people who come in are homeless. With the free food, health clinic and social services, the Rescue Mission meets physical needs. Relationally, the volunteers eat with and hang out those who come, and many are formerly homeless or longtime residents of the Tenderloin. Spiritually, every day, through music and words, everyone who comes in hears that God loves them so much he sent his son Jesus to die and rise again so that they can join his family. They are prayed for. At social services some common practical help can come in getting a free replacement ID, help with a resume or finding an open shelter bed. And unlike a welfare office (which do important work!) there is no long line of people in front of and behind, but time to talk and get to know stories and to pray together. It is a great context to help, hang out with, and pray for those who want and need it. If you are interested in getting involved or sharing about volunteering at City Impact or any other organization in the city, please email Janice! Also, if you have any men's interview clothing, their thrift store would really appreciate it! Please also pray for the strength and unity of the regular staff and volunteers, as well as for everyone who is hurting, suffering and alone to come to Jesus!